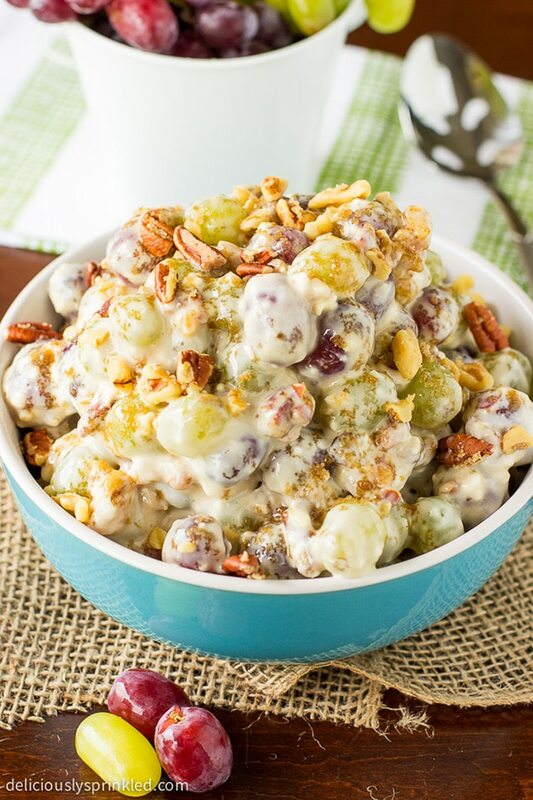 Springtime is here and so is this delicious light yet crispy Pecan Crunch Grape Salad! This is a wonderful side dish that is the perfect combination of sweet and salty! In a large sized bowl, mix sour cream, cream cheese, sugar, and vanilla extract until smooth and creamy. Stir grapes into mixture, and pour into a large serving bowl. In a small bowl, combine brown sugar, chopped pecans, and chopped walnuts. Sprinkle topping over top of grapes. Cover and place in refrigerator for at least 2-4 hours before serving.